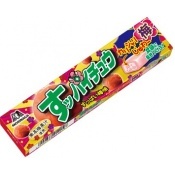 Which is the most delicious flavor Japanese sweets of Hi-Chew? 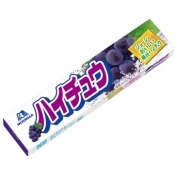 Hi-Chew is a chewy Japanese candy. 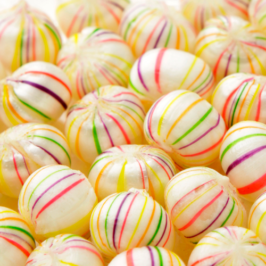 Is it a chewing gum or candy? 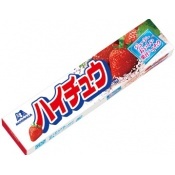 I have the impression that it’s a really strange sweet, but Hi-Chew of Morinaga is popular not only in Japan but also abroad. 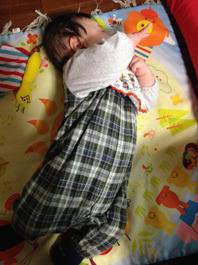 It has a taste of a juicy fruit fresh from the tree, and apple fragrance is refreshing. In cold winter in Japan, Japanese warm themselves in a Kotatsu which is a Japanese foot warmer and eat Mikan(Japanese oranges). For such a custom, this product is named “Japanese orange (Kotatsu De Mikan).” Sweetness of Japanese orange and refreshing fragrance of orange peel make a superb combination. The picture of a middle-aged man on the package is pretty, too. There are “strawberry flavor” and “grape flavor”. 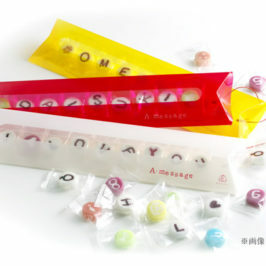 Sweetness of strawberry and grape is familiar to us, so the taste is not hit-or miss and we can eat it without worry. 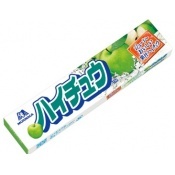 There are some Hi-Chew which seem to be good to shake off your drowsiness. A taste of juicy lemon fresh from the tree gradually fills your mouth. Vitamin C seems to be produced, but I don’t know whether it is really good for beauty. It seems to be very sour. 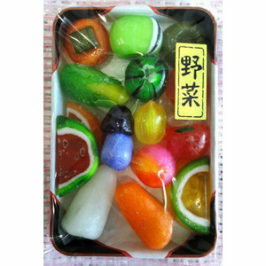 It has a Japanese apricot flavor and it is made with real Japanese apricot juice. It’s juicy but also has crispiness and crunchiness! You should be careful about texture. 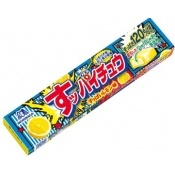 In 2015, as an 40th anniversary memorial project, Morinaga & Co., Ltd. will commercialize Hi-Chew that everybody wants to eat. 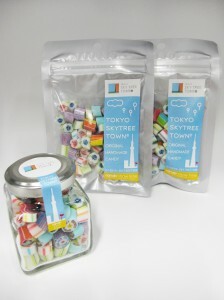 Hi-Chew which won first place in Hi-Chew Grand Prix will be really released and we will be able to eat it. It’s a nice event for Hi-Chew fans! Well,how was the ranking ? 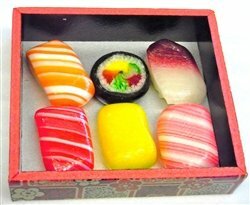 “Peach flavor” won honorable first place. I look forward to its release in the next year. 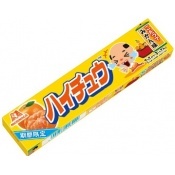 I want to eat Mango flavor.